Short Sale. SHORT SALE. This Magnificent Lakefront home overlooks Lake Myrtle in the Wingspread neighborhood. It boasts an elegant entry way with high ceilings, grand formal living and dining areas, a beautifully designed study with built-ins, an open plan family and kitchen area looking onto the water, large windows and French doors allowing lots of natural light, an oak staircase leading to second floor with a bonus room perfect as a game/media room, also overlooking the lake and pool and spa. The master bedroom has his and her closets, a spacious walk in shower, duel sinks and a jetted bathtub. You can access the huge screened patio, outdoor summer kitchen, pool, spa and outdoor shower right from the master bedroom. 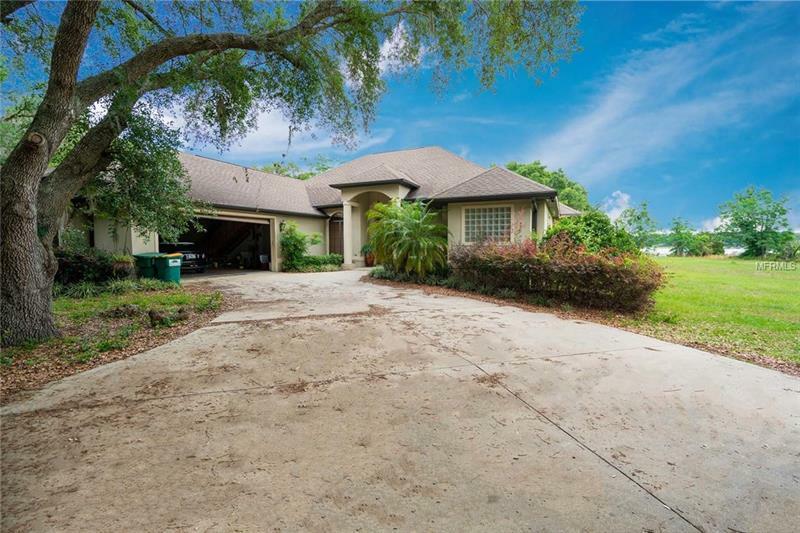 The over-sized garage has an easily accessible walk in loft storage areaâ¦ All this on nearly 2.5 acres of land, and minutes away from The Villages, I75 and the Turnpike. A must seeâ¦.TRUSTEE SALEâ¦ MUST SELL!